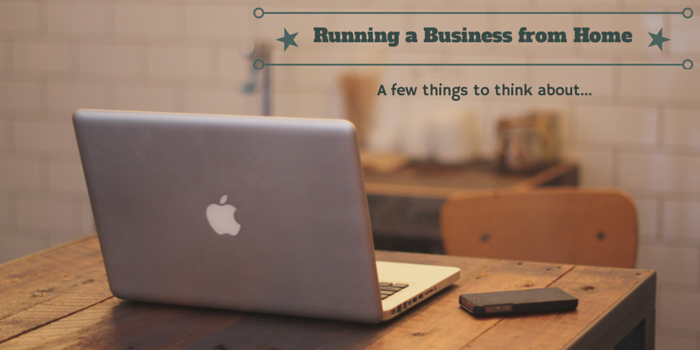 Many of us dream about setting up and running a business from home, the idea of being our own boss, not having to commute or just making a little extra money on the side is an appealing one. And with platforms such as eBay and Amazon market place making it easier than ever to enter the world of retail, it is little wonder that people are choosing this route. There are, of course, many other business that can be run from home, from consultancy to baking and tutoring to wedding planning…the limit is your imagination! Do you need to get special permissions to run a business from home? The first thing that you should check is that you can run a business from home under your mortgage or rental agreement. Many will state that you need express permission, and failing to get it could mean that you’re breaking the terms of your contract. If your home business requires alterations to be made to your home, you should speak with your local planning office. It may be that the alterations can be carried out without planning permission, but if they do require permission and you haven’t got it, you may be asked to reverse the alterations you’ve made. If the business that you want to run needs a license, requires advertising outside your home or would likely have lots of customers visiting, then you need to get in touch with your local council to get the required permissions. Do you need extra insurance, or to declare anything to the tax man? Before you buy any new equipment or (if you are storing it at home) stock, we strongly recommend checking with your home insurance company to see whether or not your policy covers you for business goods. It may be that you have to get separate business insurance, or you may find yourself having to pay out if your items are damaged or stolen. You may be able to offset some of your some of your household taxes (like council) tax against your business. When you sell your house, you may need to pay capital gains tax on the part of your property used for your business. Please check out www.gov.uk for more details of this and other home business regulation. Where will you store your stock and/or archived documents? Whether you’re setting up a retail business and have bought lots of stock, or your new venture is likely to create a mountain of paperwork, you’re going to need space to store it all. It may be that you have a spare room, garage space or a shed that you can re-purpose for storage, but if not you may have to think about hiring space. This might not be something that you have to worry about at the outset, but it’s a good idea to have a plan in place for when you grow. How are you going to juggle the work/life balance? It is easy, when working from home, for your working hours to spill into the rest of your day. This is especially true when you’re setting up a business. It may be that, for a while at least, you need to put in a few more hours than the usual 9-5, but you will still need down time and to ‘leave the office’ at the end of your day. So, what can you do? Get into a routine – decided what hours you need to work and stick to it. Get up like you would if you were going into an office, take a lunch break, and try to ‘leave’ on time too. If possible have a dedicated work area, not only will this help with your routine and to get you into the right headspace, but it will also be somewhere that you can walk away from at the end of the day. Put on your work suit: It might sound silly, but it may help to get you in the right mindset. Then change out of it at the end of your working day to get you in the mood to relax. Have you gone through this process already and have any tips to share? Let us know in the comments below!